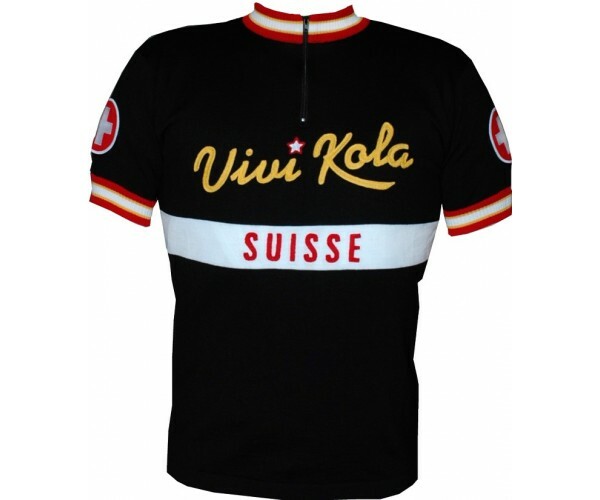 Woolistic joined up with the famous Swiss cola company, Vivi Kola, to make this stylish wool jersey. 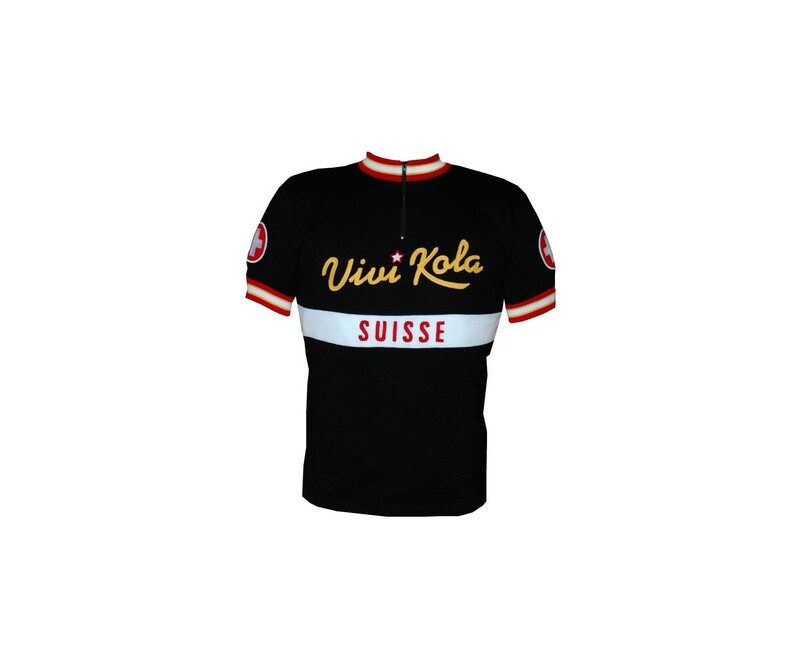 Vivi Kola became involved with cycling during the golden age of racing of the 1940-60s and today has full line of drinks and cafes in Switzerland. This unique and beautiful wool jersey has rare chain stitch embroidery on front and back. Normally $148, now only $128.00 during Cyber Sale!